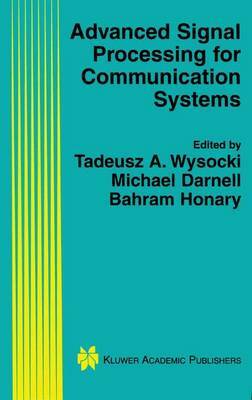 Advanced Signal Processing for Communication Systems consists of 20 contributions from researchers and experts. The first group of chapters deals with the audio and video processing for communications applications, including topics ranging from multimedia content delivery over the Internet, through the speech processing and recognition to recognition of non-speech sounds that can be attributed to the surrounding environment. The book also includes sections on applications of error control coding, information theory, and digital signal processing for communication systems like modulation, software-defined radio, and channel estimation. Advanced Signal Processing for Communication Systems is written for researchers working on communication systems and signal processing, as well as telecommunications industry professionals.